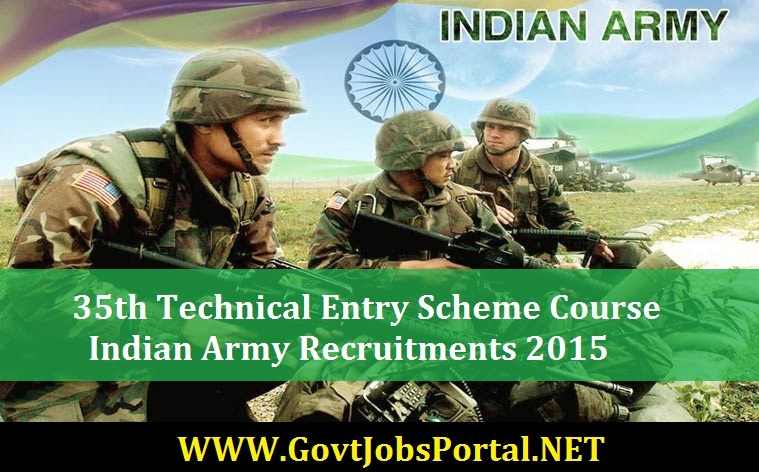 Indian Army invites Application for married and unmarried Male candidates for 10+2 Technical Entry Scheme Course – 35th, Commencing from July 2016 in 90 Vacancies. Apply Online Till 30 November 2015. Academic Qualification : Candidates should have passed 10+2 Examination or its equivalent with a minimum total of 70% marks in Physics, Chemistry and Mathematics from a recognized education boards. Selection Process : Applicants will be selected based on Short listing of Applications & SSB Interviews. How to Apply : Interested Applicants may apply online through the website www.joinindianarmy.nic.in from 20.10.2015 to 30.11.2015 at 1000 Hrs.